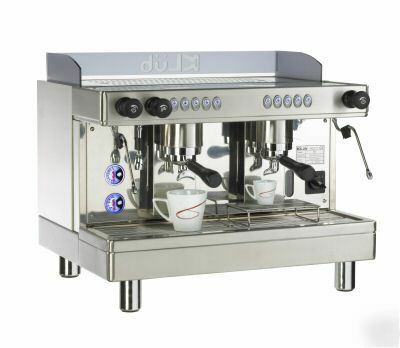 THIS IS THE NEWEST AND LATEST ESPRESSO CAPPUCCINO MACHINE TO HIT THE MARKET!! KLüb's commercial semi-automatic espresso machine originated from the combination of German know-how in fine machinery and Taiwanese Hi-Technology. 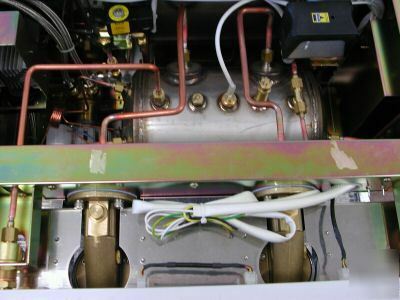 It is modern in design, functional, user friendly and incorporates the unique stainless steel boiler for the highest quality coffee consumption. Kedge has always been committed to the research and design of coffee-related equipment. This strong technological basis has given Kedge a deep understanding of production and market trends. Kedge has gained an unique competitive advantage by combining technology, design, research & development, and production techniques. Several years of commitment to research and to the accumulation of espresso technology has led Kedge in cooperation with the leading global parts manufacturers to commonly develop and provide products of an even higher quality. Good Luck and Thank You for Your Interest In This Item.